THe WOT article John posted said it had all the comforts of home. hey Jeff did it have a sleeper built in also as it looks like it has the room? There are some good photos of Big Red in the Life Magazine Collection. The search engine is not working as well as it normally does but this will get you started. Last I knew the Mack turbine prototype tractor still exixts. I wonder if that truck is still around? Maybe a museum? Just call me tater salad! It looks like it might have been ahead of its time.. yes i see your N in the back ground ..
With the latest in spoke wheels ! And tube type tires too. 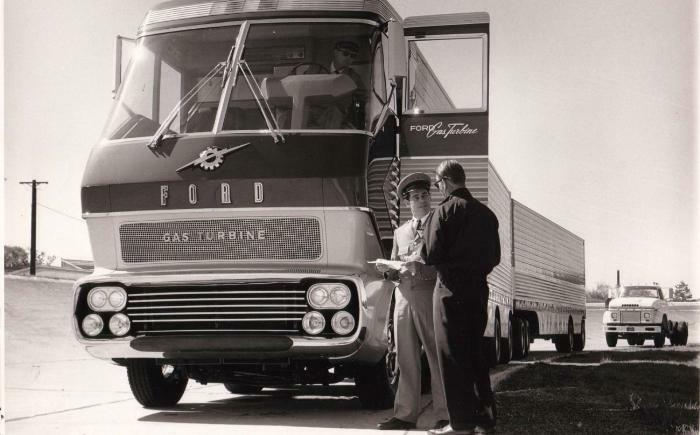 The futuristic looking truck was Ford's gas turbine truck and of course the other is the H model that showed up in 1961. That is the first picture I have ever seen of it without the matching trailer. 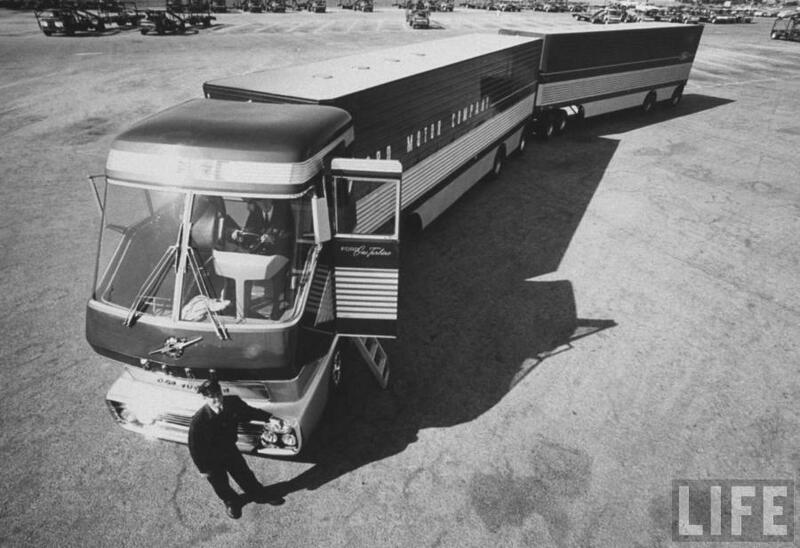 It was a concept truck that made the show circuit. There were a lot of features on that truck that showed up on the CLT series Ford trucks. Here is another picture with the trailer on it. Execution: 0.078. 16 queries. Compression Enabled.